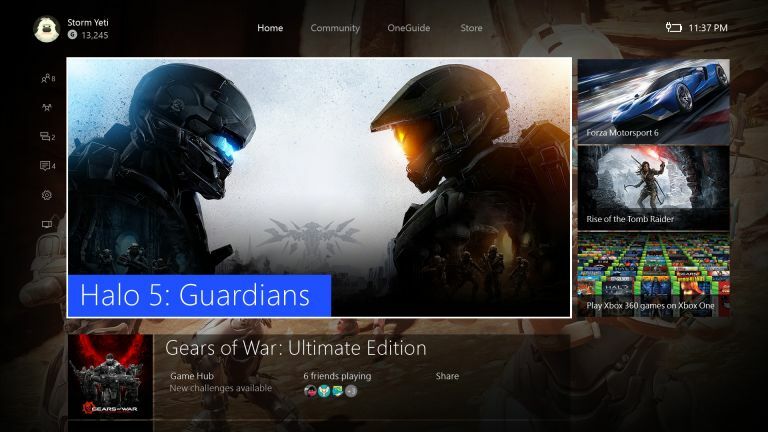 As promised Microsoft is beginning the global rollout of the new Windows 10-powered Xbox One dashboard. This is going to be a big release around the world though so there's a good chance it might take a while for it to filter through for everybody. There are some things you can do to ensure that your console is ready and waiting for this important new update though. On the Major Nelson blog it details how to get the new Xbox One experience depending on how you have your system already set up. So, what can we expect from the new update? We've gone into detail about what you can expect from the new Xbox One dashboard before, but the big new feature aside from what's on the home screen is backwards compatibility. Unfortunately that won't be immediately available. Microsoft has detailed that the Backwards Compatibility titles will only be playable, or appear in your collection to download, after 11pm this evening. The list of backwards compatible titles though is already extensive, featuring the likes of Borderlands and Fallout 3. So all you people who kept hold of their old Xbox 360 games are going to be seriously smug right now. There will be new titles continually added, starting with an announcement this December. Though there is a notable lack of Red Dead Redemption on the current list - that's been one of the most requested titles since Microsoft started asking for suggestions. We can only guess that Rockstar is dragging its heels on that one. Xbox One or PS4? Which is better?